Sometimes, the food we eat isn’t always agreeable with our bodies, and adverse reactions occur. Food intolerances, such as the lactose in milk, can be physically uncomfortable but are not allergies. However, a milk allergy can cause a life-threatening reaction. Allergic reactions to specific foods occur when the immune system mistakenly identifies a food as a harmful substance and triggers an immune response in the body. Unfortunately, food allergies can often go undiagnosed and misunderstood, posing a significant health threat to those who suffer from them. Here we’ll take a look at some common myths about food allergies so that you have the right information to guide your allergy treatment. Myth: Food allergies are all in the mind. These days, it seems that everyone has some type of dietary restriction, from avoiding gluten to lactose intolerance to not eating meat. While some of these dietary limitations have medical causes, others are brought on by nutrition fads. Food allergies do sometimes get lumped in with diet fads, so people assume that they aren’t a real concern because they are all in the mind. However, the symptoms of food allergies are all too real, and they won’t go away with just a strong will. Myth: Artificial foods are responsible for most food allergies. Myth: Food allergies are always severe. Like any other type of allergies, food allergies range in severity. 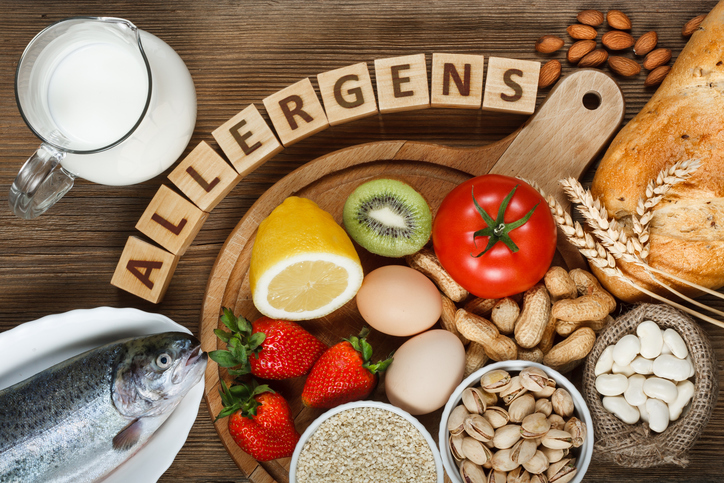 The quantity of the allergenic food consumed will affect the reaction, and for some people food allergies will actually go away or worsen over time, so the severity of a reaction is not always predictable. Food allergy symptoms typically begin immediately but may be delayed up to 2 hours of ingestion of the offending food. Living with food allergies can be scary, especially with so much misinformation out there. The allergists of Allergy & Asthma Specialists are the region’s authority on food allergy testing and challenges. Our offices serve the communities of center city Philadelphia, Blue Bell, King of Prussia, Jenkintown, Doylestown, Lansdale, Pottstown, and Collegeville, Pennsylvania, and you can reach us for an appointment online or at 1-800-86COUGH.